There are countless reasons why tourists visit Sri Lanka the tropical weather, the golden beaches, or the spectacular sights. While the areas of Colombo 1 and 2 remain the hub of tourist life with the many grandiose hotels some tourists may simply be content enough enjoying these luxuries. However, there are others who crave adventure and have the urge to explore the foreign land. Many tourists travel to the major sights that this small island has to offer, sights such as Adam's Peak, the various holiday resorts down south the mystical towns such as Kandy or Anuradhapura and much more. However, many tourists fail to realise or the Sri Lankan people simply fail to inform foreigners of the various fascinating places nearby. These days however, one small location is never missed by tour guides, and is popular among not only the local people, but also the foreigners. Now let's travail to the other side of town. No, let's just go down the street a couple of miles from Colombo's five-star hotels to view an wonderful sight at the corner of Kew Road and Śrī Murugan Street at Slave Island. Just as you turn on to Śrī Murugan Street, you will immediately look up and gape in utter astonishment at the sight. A tower made up of intricate carvings of small statues rises high a height of about 80 feet and looms over you as if to protect the sacred temple underneath This Hindu temple is known as the Arulmihu Sivasubramania Swami Kovil. This temple has a long history of about 125 years and was built to worship Lord Muruga, otherwise known as God Kataragama.  This is of great importance to the Hindu people as well as the Buddhist people who are found travelling in great numbers to devoutly worship at the shrine of Kataragama on the south of the island. 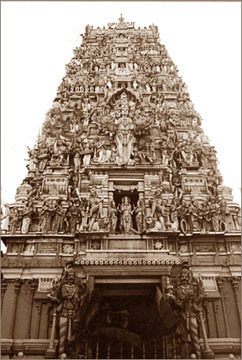 The most outstanding sight is the tower known as raja gopuram. This tower was built in 1994 fully embellished with colourful statues of Hindu deities. It is also accompanied by two smaller towers and a clock house. The construction of this tower was followed by a celebration called Kumbabishekam which is a traditional ceremony that is held after rehabilitation or a reconstruction of a temple. This celebration also signifies peace and harmony not only for the devotees of the temple, but for the whole country. The major Hindu occasions such as Deepawali which celebrated Lord Krishna's destruction of evil and establishment of good, and Thai Pongal (a thanksgiving festival associated with the harvest) are celebrated. 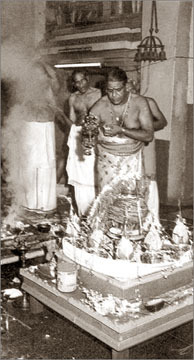 In addition, an occasion called Skandashasti is of utmost significance. This day is celebrated after a six day fast to honour Lord Muruga who answered the call of the suffering and put an end to Asuras, who is the symbol for evil. The Suran Por (war) put an end to all evil and brought on an upsurge of goodness. Another great celebration is the Chariot Festival. 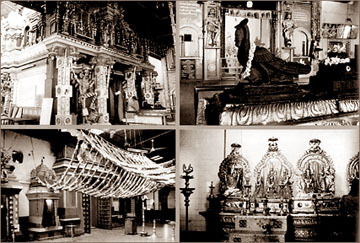 Recently, trustees of the temple constructed a Golden Chariot for this festival. In the Chariot, a statue of Lord Muruga is taken in procession around the streets. This event takes place annually in the month of August. To think that this temple is predominantly for Hindus is a complete misconception. The Chief Custodian of the temple, Kathiresu Kanagasabapathy said that people of all faiths come to the temple, be it Christian, Muslim Hindu, or Buddhist. Other than the Hindu celebrations, the temple also gives alms once a month on Poya days and there is also a major celebrations for Independence Day. Recently, a pooja or an offering was made by families who have been victimised by the conflict in the north and east of the country. During this occasion, the temple had given alms to the people. When asked why this temple in particular is so renowned among so many people, Kanagasabapathy had just two words - miracles and faith. He said that miraculous things happen at this temple and therefore there's lot of faith among the people who come to worship. Whether you go to the temple as just a sight-seeing venture or for a religious purpose, you will definitely experience something to remember. While the marvellous tower may attract many people there, the miraculous ambience established and maintains the faith of the people who come there.